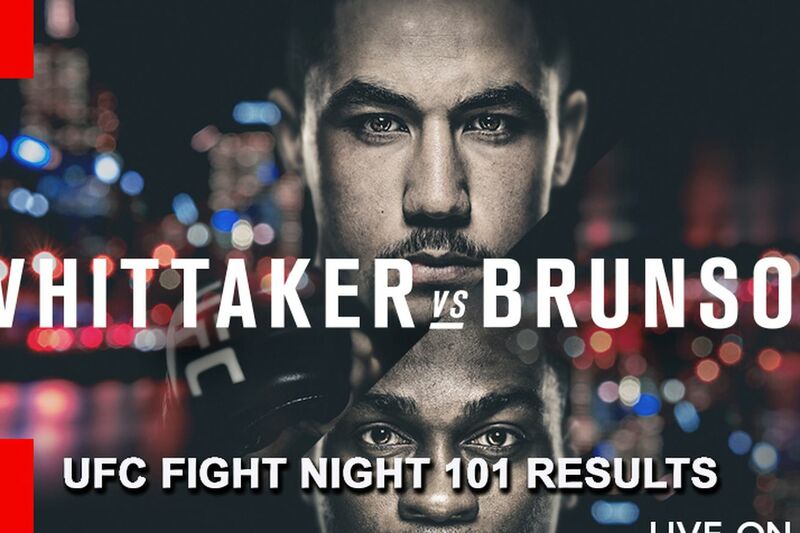 Ultimate Fighting Championship (UFC) returns to the hurt business this Saturday night (Nov. 26, 2016) for UFC Fight Night 101: “Whittaker vs. Brunson,” which takes place inside Rod Laver Arena in Melbourne, Victoria, Australia, live on FOX Sports 1. The promotion’s latest mixed martial arts (MMA) card will feature a middleweight showdown pitting top 185-pound prospect Robert Whittaker against fellow up-and-coming contender Derek Brunson. Elsewhere on the card, Andrew Holbrook and Jake Matthews hook ’em up for a spot in the 155-pound title chase. Because of the discrepancy in time zones, the action pops off “Down Under” on Sunday — but airs live on Saturday night for stateside audiences. MMAmania.com will deliver LIVE round-by-round, blow-by-blow coverage of the entire UFC Fight Night 101 fight card below, starting with the Fight Pass “Prelims” matches online, which are scheduled to begin at 6:30 p.m. ET, and then the remaining undercard balance on FOX Sports 1 at 8 p.m. ET, before the main card start time at 10 p.m. ET, also on FOX Sports 1. Fightweets: What is your favorite Georges St-Pierre memory?